2016 may have thrown some unique challenges our way since the fire, but commitment to our long standing tradition is as steadfast as ever. As we celebrate our 90th Anniversary, we're grateful to be part of an amazing culinary community that takes pride in the long history of our Virginia Foodways. Our friends at Copper Fox Distillery have invited us to be part of their grand opening in Williamsburg, Virginia on November 12th. Virginia's Grateful Spirits: A Ham and Whisky Event is a celebration of both the new and the old, and is a must for any whisky and charcuterie lover. A visit to Copper Fox's new malting house in Williamsburg, Virginia. Signature dishes on site using Edwards products, prepared by celebrity southern chefs. Chefs include Sam McGann from The Blue Point, Jason Alley from Comfort Restaurant, Walter Bundy from Shagbark, and Sydney Meers from Stove. Taste delicious Virginia oysters as you peruse Copper Fox's facility with a mouther-watering oyster roast. 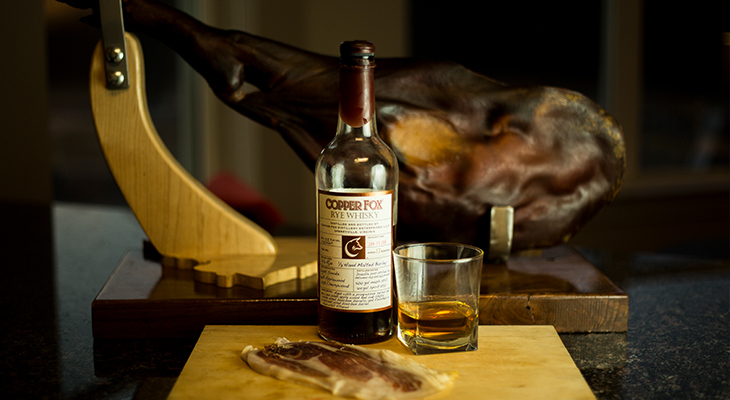 Learn the craft of country hams and whisky by artisans from both Edwards and Copper Fox. 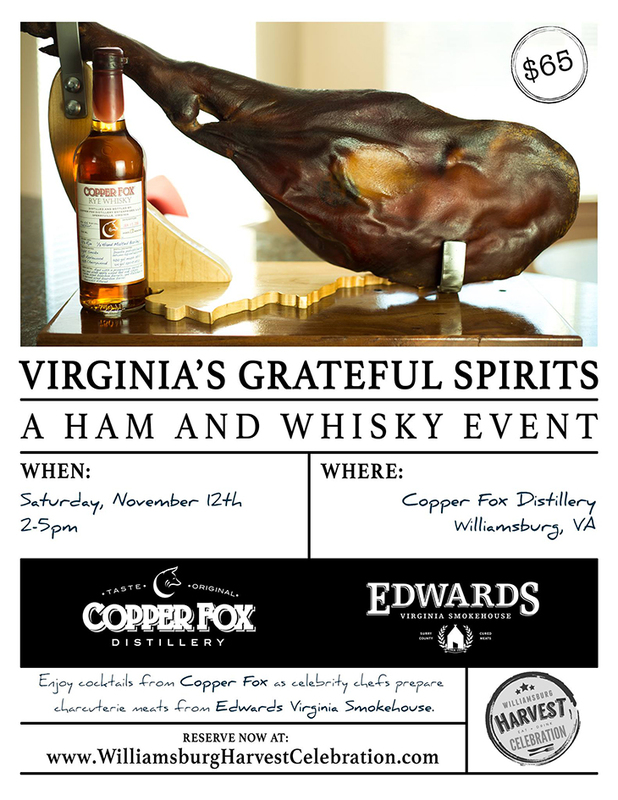 Part of the Williamsburg Harvest Celebration, the Virginia's Grateful Spirits: A Ham and Whisky Event will have limited seating. Admission is $65, reserve your tickets online today! We look forward to joining you all to take a moment to pour a glass a whisky, carve a slice a ham, and be thankful for great friends in Virginia's food world.